The Ford Foundation, MacArthur Foundation, Knight Foundation, Open Society Foundation, and Mozilla Foundation launched the NetGain initiative in 2015 to jointly address the challenges and opportunities of the digital age. The partnership aims to strengthen digital society, guided by a set of principles acknowledging the role of the Internet and technology in advancing the public interest. 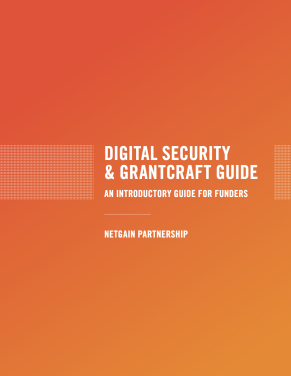 Coming out of this partnership is this guide that helps grant­makers both assess and address digital security concerns.